Illustration courtesy of National Library of Scotland. When The Falls, the 12th Inspector Rebus novel, was published in March, within a fortnight it was number one of the Scottish Best Seller List. The Rebus books are by Ian Rankin, whose Edinburgh-based thrillers are now extremely popular throughout Europe and North America, but it has been a tough apprenticeship and long journey to achieve such literary success. "Rankin is a modern day Charles Dickens. The Rebus novels are rich and complex and maintain pace and tension throughout"
"Rankin is without doubt Britain's best crime novelist". "Rebus is a masterful creation. Rankin has taken his well -earned place among the top echelon of crime-writers." For the uninitiated, who is Inspector Rebus? 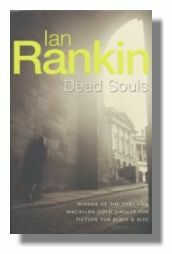 John Rebus is an Edinburgh 'cop', a detective, now in his mid-fifties whose own personal life often spins out of control, enjoys nothing better than a fresh murder case, a crime puzzle, and to delve ever deeper into the sinister underworld lurking in the dark shadows of Edinburgh's historic cobbled streets. Described as a compassionate, quick-tempered man, a loner by choice and temperament, and a failure as a husband and father, he battles with two addictions, alcohol and cigarettes. Work, as Rebus says himself, keeps him sane, because it allows him to live other people's lives, and therefore forget his own life for a while. "Oftentimes nowadays he just swigged from the bottle. The weekend stretched ahead of him, one football game the extent of his plans. His living room was wreathed in shadows and cigarette smoke. He kept thinking of selling the flat, finding somewhere with fewer ghosts. Then again, they were the only company he had: dead colleagues, victims, expired relationships. He reached again for the bottle but it was empty. He thought of a dozen places where he could get a drink, even at two in the morning. The city - his city - was out there waiting for him, waiting to show its dark, shrivelled heart." Rebus knows Edinburgh, the heart of the city, past and present, its people divided by education and class, profession and pretension, luck and circumstance, far beyond the glossy veneer of the picture postcard backdrop that the visitor will observe. Edinburgh is equally a leading character in the novels, as brooding and complex as its hero. Whether describing its elegiac classical beauty or its violence and vice, Rankin paints an atmospheric, vibrant and living portrait of a city, illustrating the real streets and cemeteries, police stations and pubs. Just as Robert Louis Stevenson observed a century before, Rankin also sees the 'Jekyll and Hyde' duality of the city as the perfect setting for a crime story. "It has a split personality, on the one hand it is the city of history, museums and royalty, but at the same time there is this feeling that behind the thick walls of these Georgian townhouses there are all sorts of terrible things happening. It's got a very dark history. It's a very repressed city, a very Calvinist, Presbyterian place. Things happen under cloak of darkness. It's a place of conspiracies, a city with a village mentality, where everybody knows everybody else." 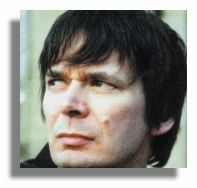 Ian Rankin was born in 1960, in the Scottish mining village of Cardenden in Fife. A writer from an early age Ian made his own comic books, influenced by everything from The Beano to the Fantastic Four. "At the age of six or seven I would get sheets of A4 paper to make a little eight-page booklet, break it up into squares and put in little stick men with little speech bubbles, and I'd have a spy story, a space story and a football story. We didn't have many books in the house. I was allowed lots of comics and eventually, around the age of 12 or 13, I would go to the library and get One Flew Over the Cuckoo's Nest, The Godfather, A Clockwork Orange and novels about the private eye, Shaft. From a young age, I had a real interest in American fiction. I also read Stevenson's Kidnapped and Treasure Island, then Jekyll and Hyde in high school." With this eclectic blend of literary influences in his mind the young Ian initially started writing song lyrics, which later developed into poems, and by the time he reached Edinburgh University, his poetry had already won several prizes. At University, Rankin turned from poetry to the short story. While he should have been studying towards a PhD in English Literature, on the subject of Muriel Spark, Rankin wrote three novels. The third novel Knots and Crosses, introducing Inspector John Rebus was published in 1987. "A spectacular, complex, and nightmarish mystery"
"A compelling first novel… keen psychological insights and an intriguing, well-knit plot make Rankin a newcomer to watch." Rankin has said: "I wrote Knots and Crosses not even realising that I was writing crime fiction. I used to go into bookstores and I'd take my book off the Crime Fiction shelves and put them in with Scottish literary fiction. In Scotland there was no tradition of the crime novel. The English crime novel was perceived as being an entertainment, a puzzle. In Scotland, the tradition I was coming from was much more the Gothic novel. Edinburgh is a major character because it has influenced Rebus. The real mystery in these books isn't the crime. OK, it's a crime novel, with a crime, an investigation and a resolution. But underneath, the real mystery is Rebus coming to terms with Edinburgh." Next page > Rebus Plays Hide and Seek > Page 1, 2, 3.